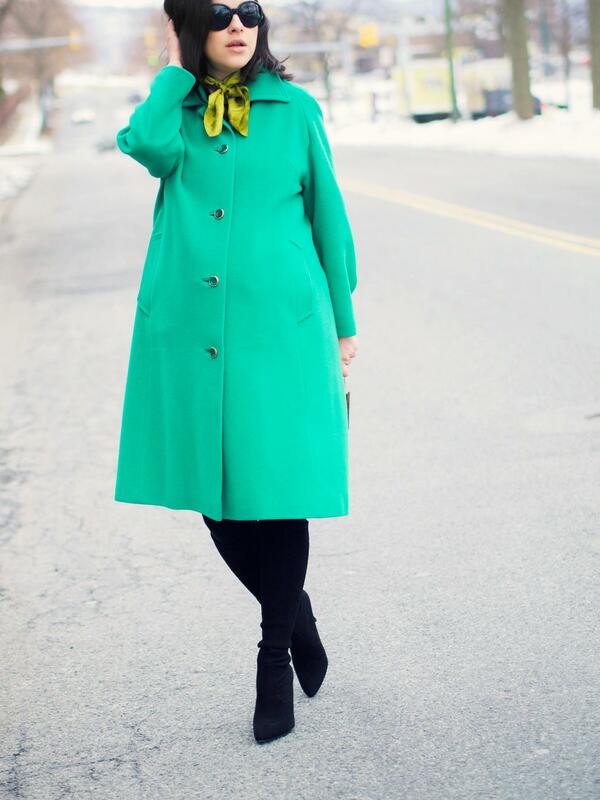 Right before the big snow storm hit our area I had the chance to wear this look that I like to call “the coat dress”. 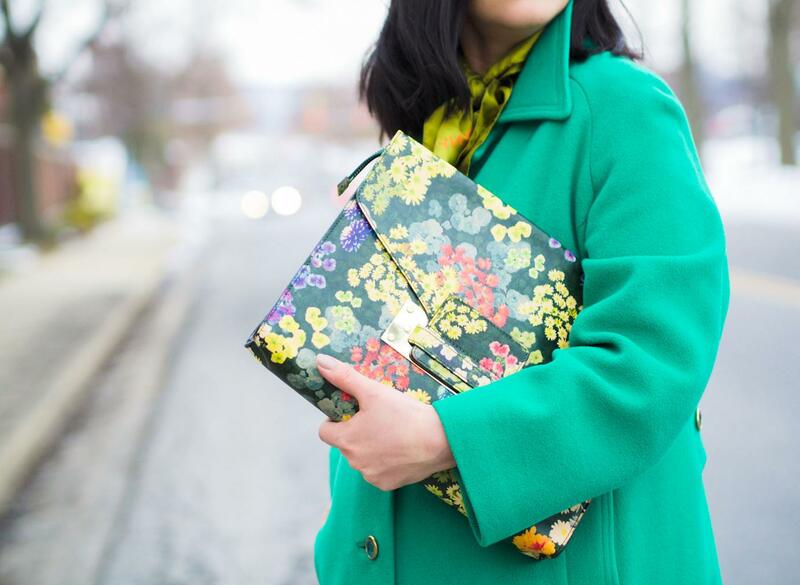 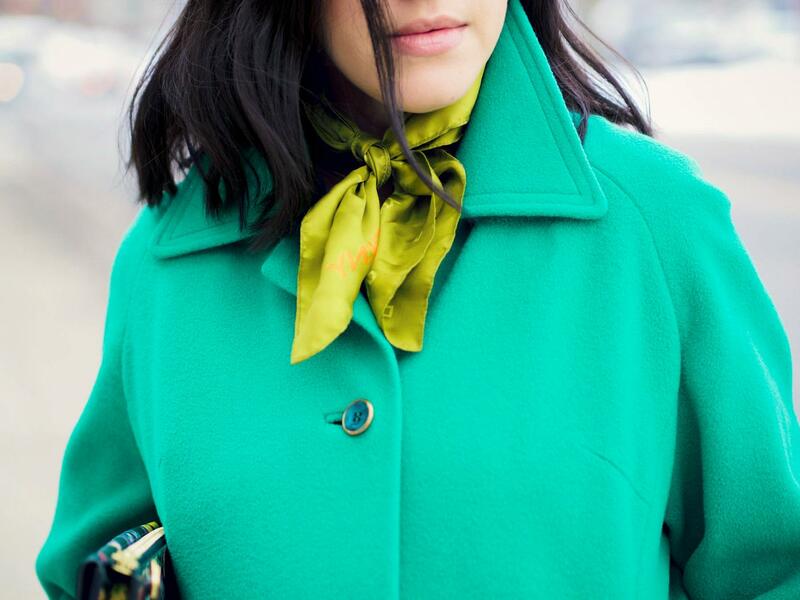 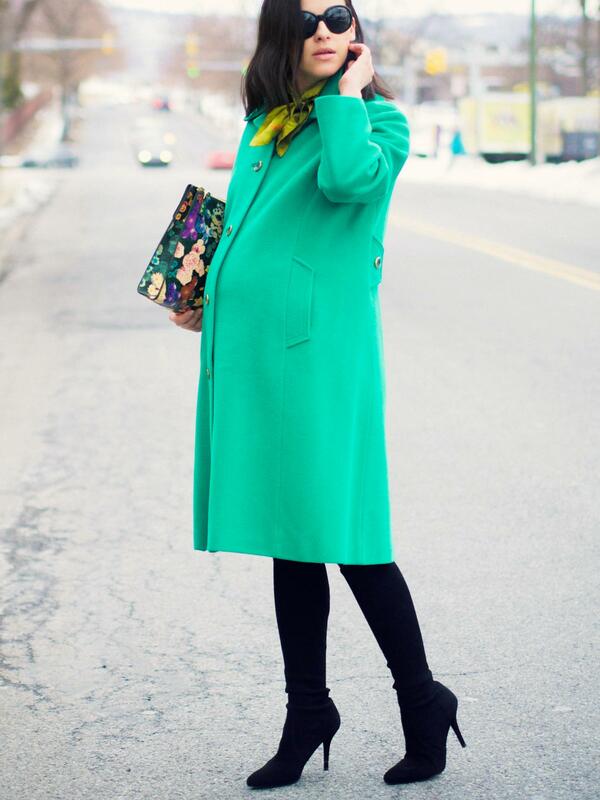 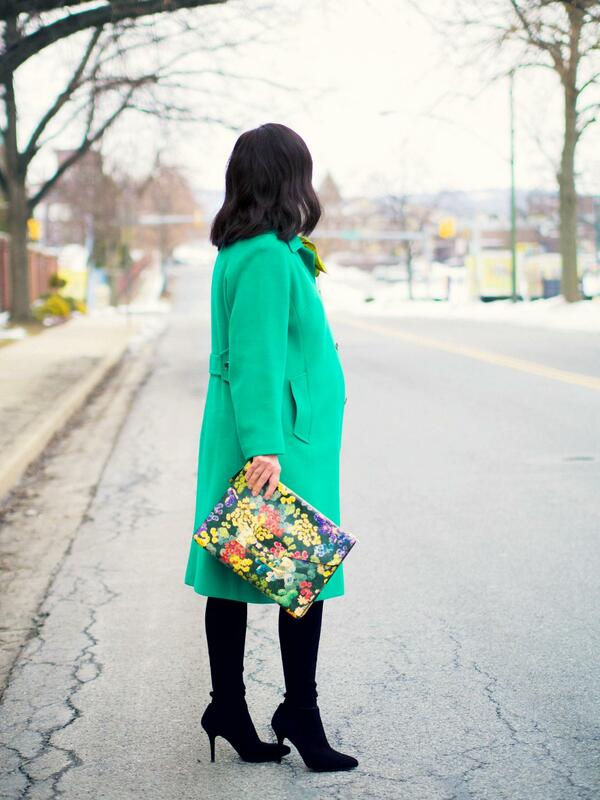 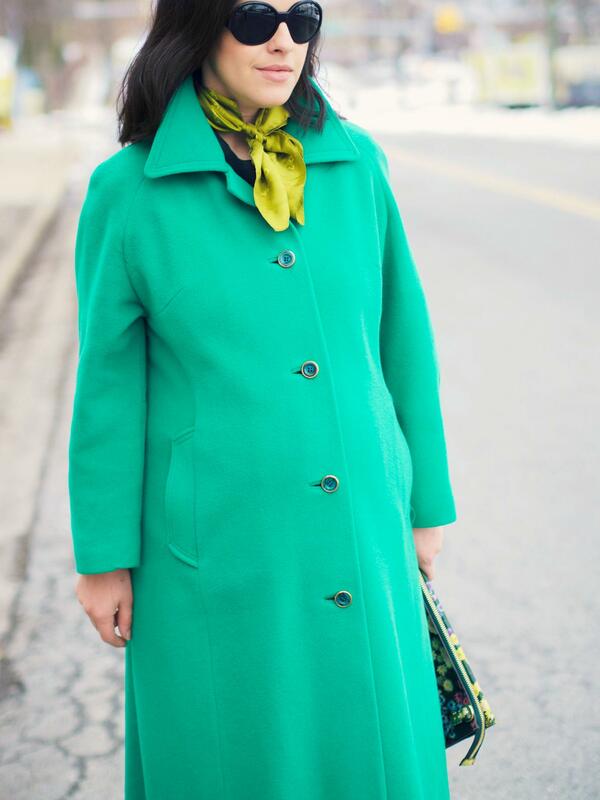 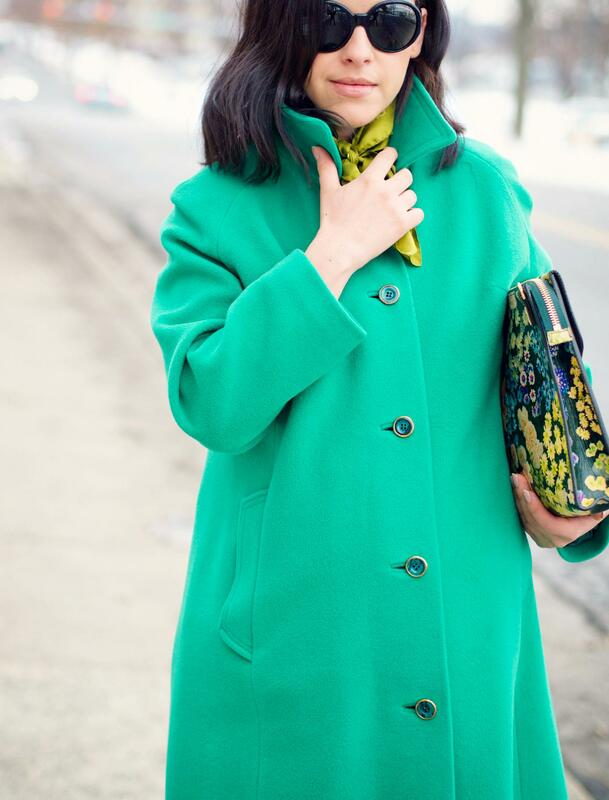 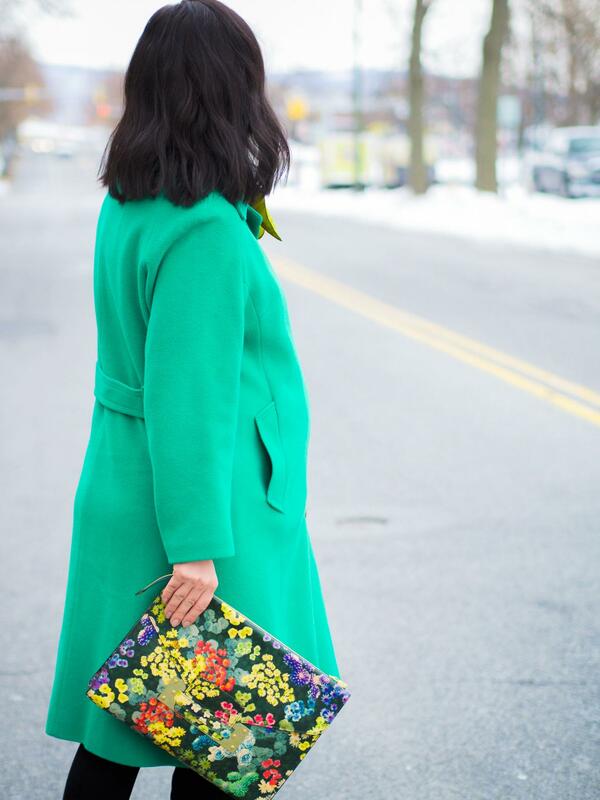 This cashmere green coat is a statement piece and worn as a winter dress is the perfect maternity cover up! 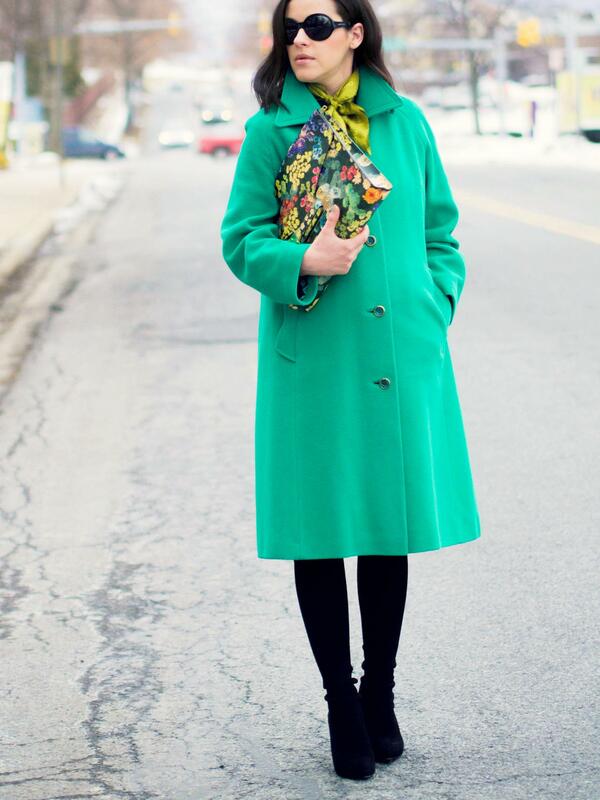 Fantastic coat and scarf! 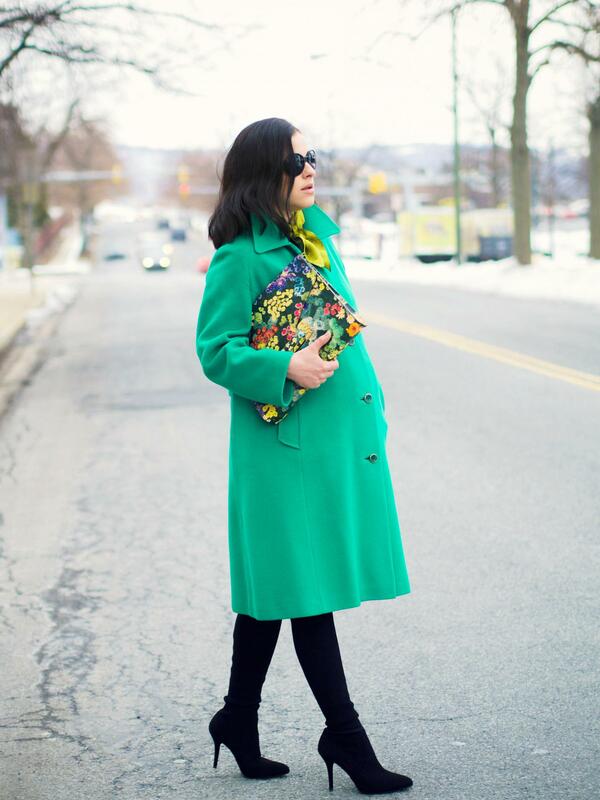 You look so beautiful in this bright outfit!